Natural Face care set with 5 Evergetikon olive oil & beeswax based products was added to your shopping cart. Evergetikon face care 5 product set. Includes Face cream, Lip Balm, Make-up Removal, Exfoliating cream and a natural olive oil soap. 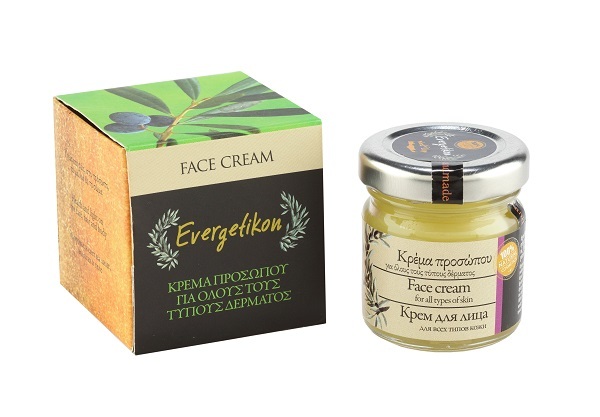 Evergetikon creams have as basic ingredients extra virgin olive from Crete and the highest quality cretan beeswax. Apply on slightly wet skin. FACE CREAM: The face cream "Evergetikon" provides hydration naturally, regeneration, shine, toning, smooth and elastic structure of the skin. It has properties against wrinkles, acne, aging, dryness, dermatitis and skin wounds. It also has powerful antioxidant action that protects the skin from harmful environment. The myrtle contained reduces wrinkles and prevents the appearance of new ones. It is 100% natural like all our products, for young and old ages. 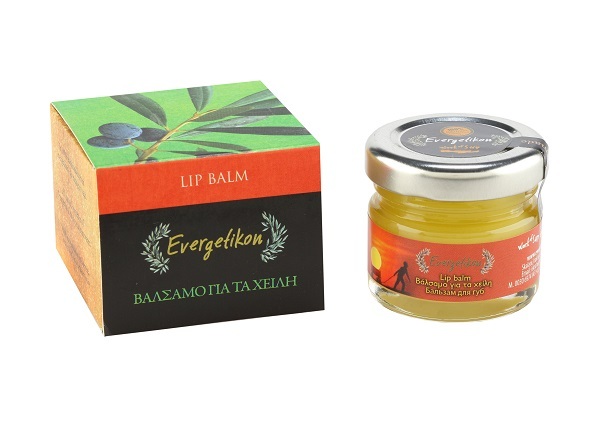 LIP BALM: 100% natural lip balm "Evergetikon" with essential oils of tangerine, orange and cinnamon. It softens and hydrates lips and protects from dryness and chapping. MAKE-UP REMOVAL: Make-up removal & toning "Evergetikon" with chamomile essential oil for deep cleansing, toning and skin elasticity. It gently cleanses and removes makeup. The chamomile essential oil is soothing, antiseptic, calming and relaxing. Vitamin E helps inactivate free radicals and protects cells from premature aging. It provides deep hydration. 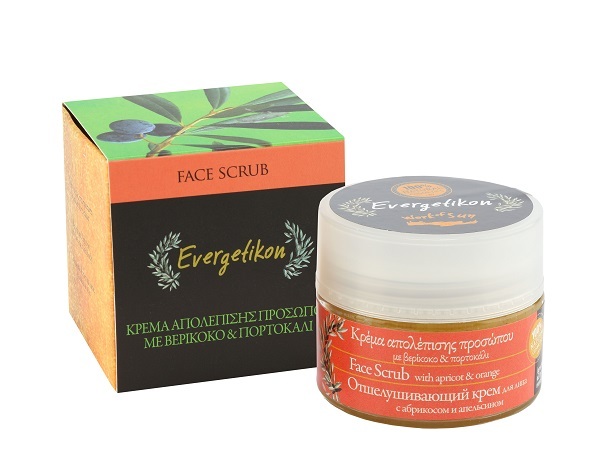 EXFOLIATING CREAM: Face exfoliating Cream "Evergetikon" with apricot & orange. Provides a soft exfoliation by removing dead skin cells. The herbal oils, monoi oil, olive oil, argan and almond oils moisturize the skin and provide antioxidant protection. The essential oil of orange tones the skin and offers a shiny look. 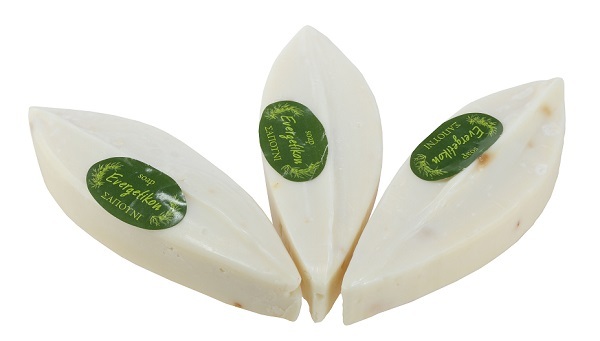 NATURAL OLIVE OIL SOAP: Beauty olive oil soap ideal for the face and body, 100% natural. Handmade, of high quality, made with extra virgin olive oil of Crete, coconut oil, almond oil, medicinal herbs, aloe, calendula and organic essential oils. 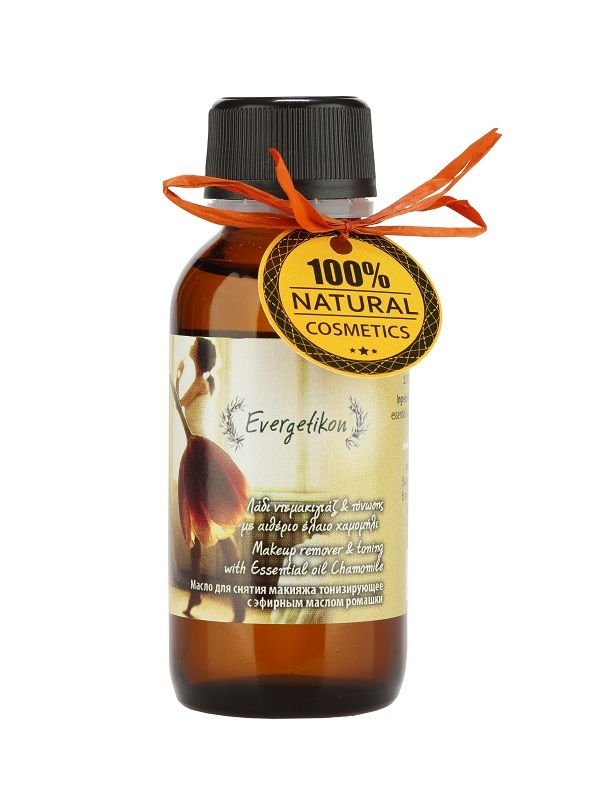 Evergetikon soap offers deep cleansing, moisturizing and regeneration. Three years ago, I used "Evergetikon" face cream for the first time. At first, I was a bit reluctant to use it since it was not a well known established brand name creme! I have very sensitive skin which dehydrates very often and looks and feels very dry. This specific creme fit right in. I use it daily after cleaning my face first and spritzing a bit of metalic water. I tried the other "Evergetikon" products, always on damp skin. The eye cream, body cream and hand cream are excellent. The lip balm is ideal for chapped lip protection and healing. The body scrub's aroma and the soft skin effect thrilled me. This fall, I used the face scrub with the apricot pit scrubbing beads and felt how snoothly it revitalized my skin. Rinse your face well after using it. I would like to point out that "Evergetikon" creams do not look or feel like common cremes. They are more dense and oily since their basic 100% natural and beneficial ingredients are Cretan extra virgin olive oil and the highest quality cretan bee wax. All you need is to apply a very small quantity to your skin and will be absorbed after a while leaving your skin radiant, smooth and elastic.